As the oldest continuously published Latin American Studies journal, The Latin Americanist is dedicated to comprehensive, multidisciplinary, and tri-lingual coverage of the field—including Latin American history, literature, political science, and anthropology. 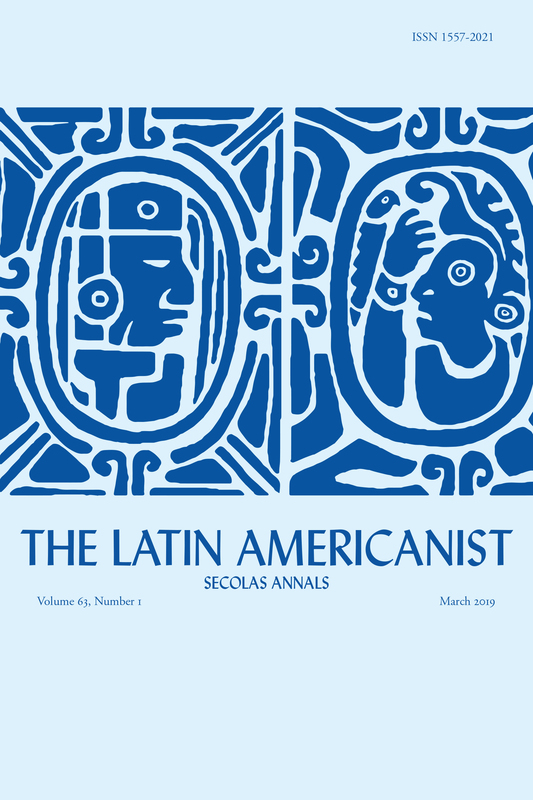 The Latin Americanist publishes high-quality, peer-reviewed original articles, review essays, and book reviews, as well as news of the Southeastern Council of Latin American Studies (SECOLAS) and its members. Published quarterly with articles in three languages (English, Spanish, and Portuguese), TLA serves as an important international resource for all individuals concerned with Latin American Studies. Gregory Weeks is Associate Dean of Academic Affairs in the College of Liberal Arts and Sciences at the University of North Carolina at Charlotte. He is Professor of Political Science and Professor of Latin American Studies. He has published several books and dozens of articles on Latin American politics, U.S.-Latin American relations, and Latino immigration. The Latin Americanist is an ad-free digital journal.